The problem is not that Zimmerman was afforded the presumption of innocence. It is that Trayvon Martin was not—and that defendants who look like him are denied that right every day. 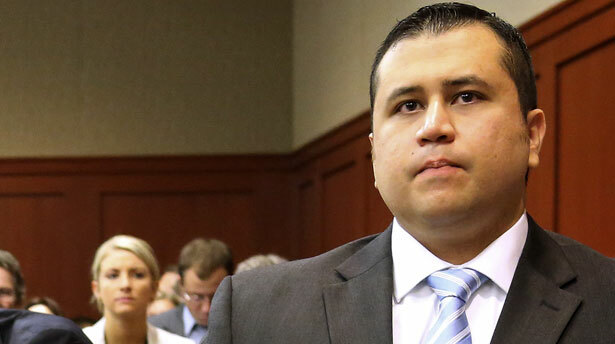 Thousands have marched, hundreds of thousands have signed petitions, millions have expressed their frustration, grief and outrage at the acquittal of George Zimmerman for killing 17-year-old Trayvon Martin in Sanford, Florida, last year. From New York to Los Angeles, protesters flooded the streets on July 14, chants of “No justice, no peace!” ringing through the night. “No justice” is what many see as the outcome of a trial that would not even have occurred had authorities not been shamed by a similar public outcry into charging Zimmerman. Trayvon Martin’s death struck a nerve for reasons that went far beyond its immediate circumstances, and the not-guilty verdict reaffirms the sense that the whole justice system—from police to prisons—not only fails to protect people of color, but classifies them as criminals by default, even when they are the victims of a violent crime. That so many attorneys and experts have deemed the verdict legally sound does little to temper the outrage. Indeed, it is salt in the wound—a reminder that rules of law are rarely applied evenly and are no blueprint for justice in real life. Yet it is true that prosecutors failed to prove their case “beyond a reasonable doubt,” and in a court of law this fact alone demands an acquittal. The real problem is not that jurors were willing to accord Zimmerman the presumption of innocence—a bedrock of our justice system. It is that Trayvon Martin, an unarmed teenager, was never accorded the same presumption—and that so many defendants who look like him are denied this right every day. The biases that fuel such unequal treatment under the law were on full display when an anonymous member of the jury, Juror B37, a white woman who had won a hasty book deal, took to CNN on July 15. In her view, Zimmerman was “a man whose heart was in the right place,” someone “overeager to help people,” who went “above and beyond” in trying to protect his neighbors from “these people.” She even said she would feel comfortable with Zimmerman as her neighborhood watchman—a sentiment difficult to imagine coming from a black parent, had one been on the jury. This, ultimately, is what makes “public safety” laws like Stand Your Ground so dangerous. Like any explicit mention of race, the law may have been mostly absent from the trial, but the juror made clear it informed the outcome. “He had a right to defend himself,” she said—not of Martin, who was being followed by a man with a gun, but of Zimmerman. John Nichols reports on the burgeoning movement in Florida to repeal the “stand your ground” law.